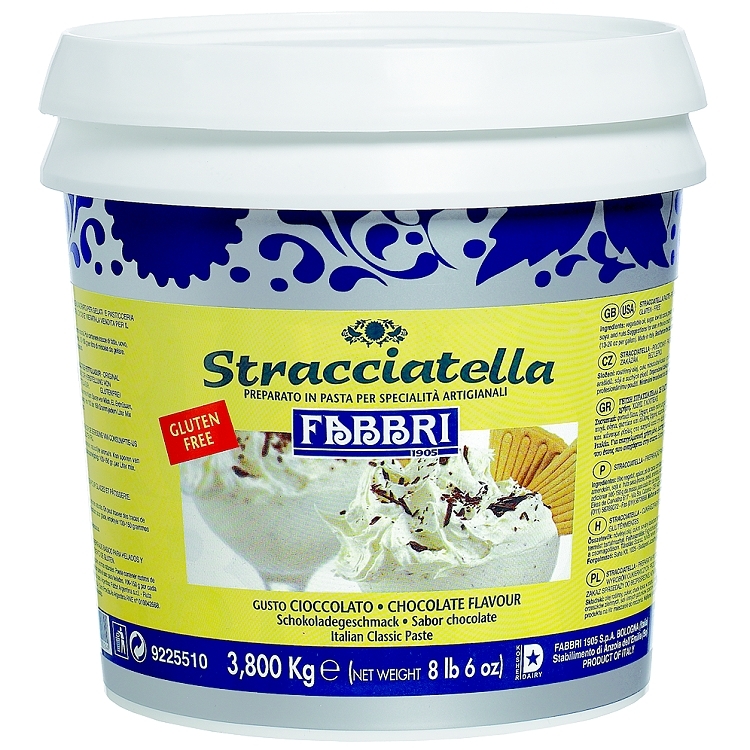 Stracciatella Marbeling Chocolate, used to swirl and marble into finished batched gelato, turning a simple cream base mix into a real treat. Swirl into gelato during processing or use as a hard crack chocolate shell on top. Warm chocolate until quite liquid. Extract gelato from the batch freezer. Layer gelato and variegate with warm straccaitella chocolate on top. When the warm chocolate touches the gelato it solidifies. Then using a spatula, swirl gelato and chocolate together, causing the chocolate to break-up into pieces. Creating a delicious flavor combination.